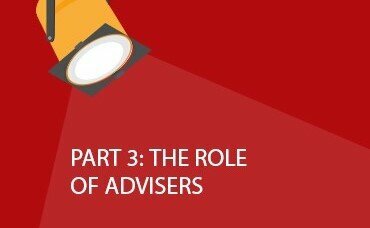 In the third of his blog series, Ensign Retirement Plan Chair of Trustees, Rory Murphy, considers the hot topic of the role of advisers. As the Chair of one of the UK’s most forward thinking and innovative pension funds, Rory is uniquely placed to weigh up the evidence. There has been much implied criticism lately of the role of financial consultants and advisers, the work they carry out on behalf of pension funds, and the fees they charge. Whilst I welcome the recent FCA study on Fiduciary Management I do feel that it perhaps is hitting too easy a target. Those of us who are trustees have a responsibility, or even a duty, to ensure that we are in control of our own funds. It is us that run the funds not the advisers, although sometimes you could be forgiven for thinking they did. But I don’t blame the advisers wholly for that. I think some funds rely too heavily on what they are being told, follow too slavishly the advice they have been given and are just too frightened to question ‘professional advice’. These are complex matters – solutions are often delivered in language that isn’t clear and those asking the simple – and often hardest to answer – questions are worried about being seen as not up to the job, or worse. In fact, my experience tells me that if I don’t understand something the chances are that others around the table do not understand it either. It is also easy for trustees to be a little blasé about the advice they are given. After all, you cannot be accused of failing in your fiduciary duty if you adhere to the advice you have been given but woe betide you if you go against that advice and something goes wrong. I believe that the relationship between trustee and adviser is in danger of becoming (if it hasn’t already done so) out of kilter. The clue is in the terminology – they are advisers, they advise. Trustees scrutinise, evaluate and then make a decision based on their understanding of what they have been told and what they think is best for the fund. The responsibility lies with the trustee to get the best outcomes for its members. It is their job to ensure they understand what they are being told, to be properly trained and to ensure that they do not make a decision until they are confident that they have the understanding needed to do so. Do advisers consciously or unconsciously put pressure on trustees to take the advice offered at face value? I think maybe sometimes they do. Next time, Rory looks at the future for pensions.